I think Hello Kitty is planning to take over the world with all their cute products. 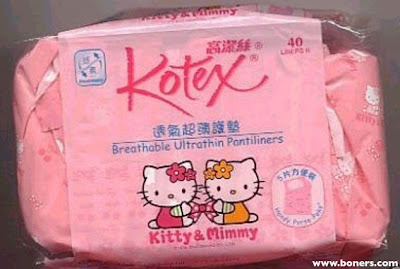 But this Hello Kitty Kotex Pantyliner is just too much. Who wanna wear this kind of product? kalo awin, awin tanak gune..